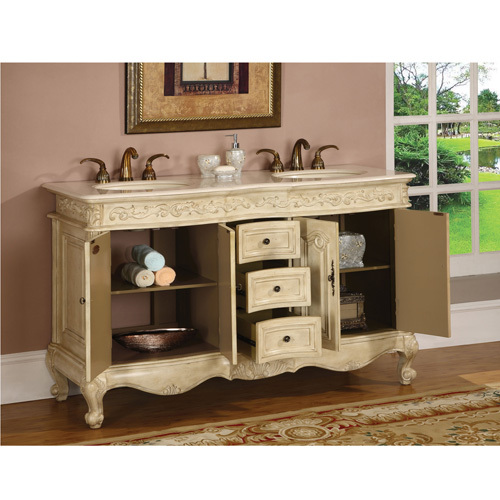 The Petriano Double Bath Vanity is an elegant addition to the master bathroom. 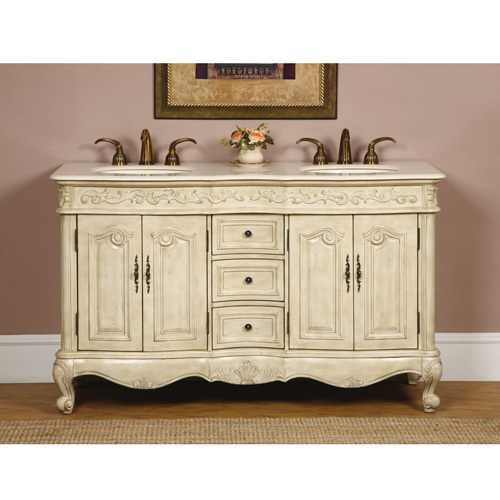 Its antique white finish is hand painted, making each vanity unique. The antique brass hardware and hand-crafted details gives this vanity its charming style and character. The countertop is cream Marfil marble and is predrilled with three faucet holes. It also includes two under mount ivory ceramic sinks. For plenty of storage and organization, this double vanity features three functional drawers and four doors with shelving. This vanity is a charming way to complete any bathroom.